II) Install TestNG and write First TestNG Test Case. > TestNG is a testing framework designed to simplify a broad range of Testing needs, from Unit Testing to System Testing. > Initially developed for Unit Testing, now used for all kinds of Testing. 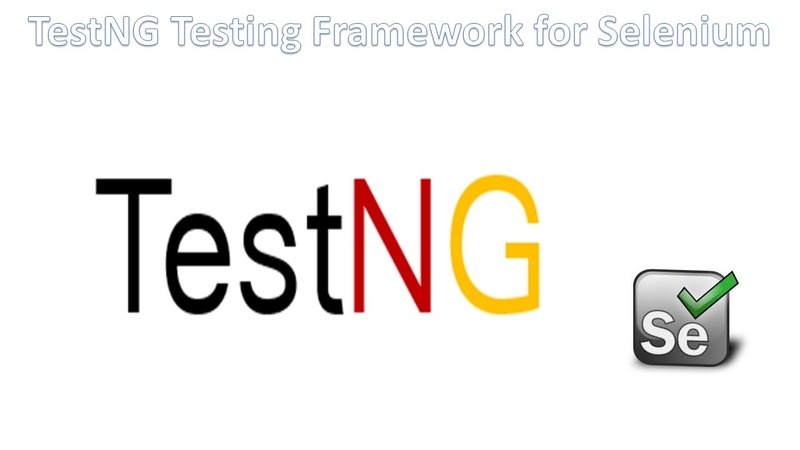 > TestNG is an open source framework, where NG stands for next generation. > TestNG inspired from Junit(Java platform) and NUnit (.NET platform), but introducing some new functionalities that make it more powerful and easier to use. 2) Test Cases can be grouped and prioritized more easily. 4) Supports Data driven Testing using Dataproviders. 6) Parallel test execution is possible. Note: Using TestNG we can create Test Cases, group Test Cases, prioritize Test Cases, execute Test Cases and generate Test Reports. 3) if we don’t write @Test Annotations then the methods are not going to be executed. If You want to control the Test execution process then use priority attribute. launchBrowser -pre-condition for every test case.